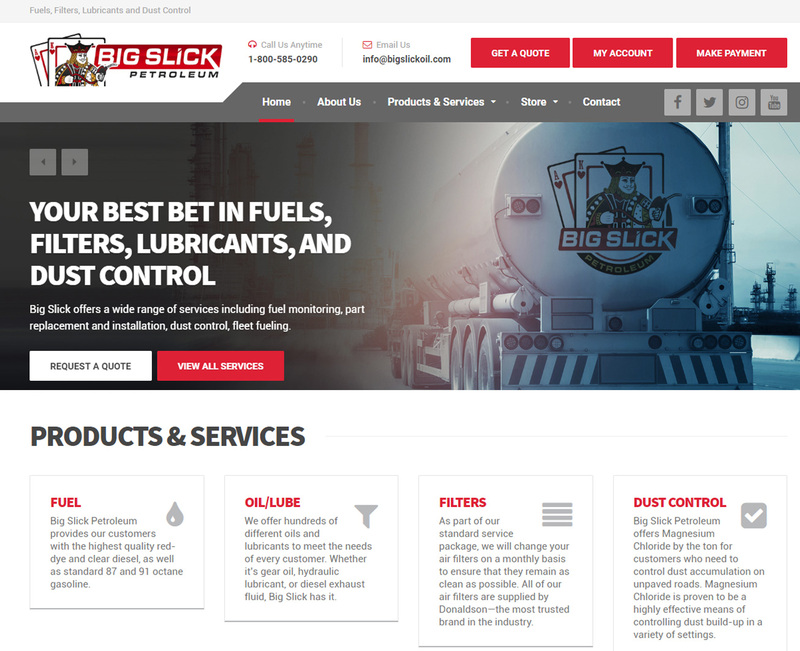 Based in Las Vegas, Nevada, Big Slick offers a wide range of services including fuel monitoring, part replacement and installation, dust control, fleet fueling, and a number of other services that are tailored to the needs of each customer. Big Slick also offers special pricing to our customers in the tourism industry. 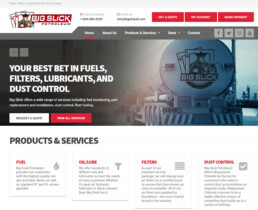 ClientBig Slick OilServicesApplication Development, Web & Infrastructure Hosting, Web Design, Web Development, E-Commerce, Promotional Design, Marketing Strategy, Branding, Search Engine Optimization, Social Media Marketing, and more.